PlayStation 4 owners rejoice and be prepared, for a long list of games waiting for you to be played this year. 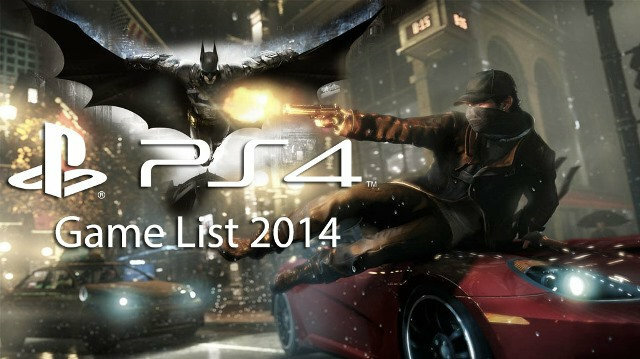 Sony recently published a list of hundred plus PS4 game titles we should be expecting this 2014. Some of these PS4 game tiles are already out now, but there are still many that are yet to be released. However there are some titles that are marked TBA meaning there’s no definitely release date yet. These games might be released sometime this year, or worst, they would be delayed until next year. Some of the PlayStation 4 games that took my attention are inFAMOUS Second Son (a PS4 exclusive), The Order: 1886, Final Fantasy XIV: A Realm Reborn, Dragon Age: Inquisition, Wolfenstein: The New Order, Alien: Isolation, and Middle-earth: Shadow of Mordor. Note: The list of PlayStation 4 Games below can be sorted out. Just click the corresponding header to be sorted out according to its category. Or you can do a quick search for a particular game via the small search box below. If there are PlayStation 4 game titles that you think were not included in the list above, please do hit the comment section below.